A great song is much more than good lyrics or a catchy tune and far more than a great mix or a professional master. Many small studios attempt to craft great songs through mixing, mastering and using the latest plugins. They can find themselves distracted by the lure of special FX, EQ moves, and advanced compression techniques in their attempt to create sonic perfection. However, sonic perfection has little value if the very structure – the arrangement and organisation of song elements – is ignored. This book takes an in-depth look at how to create a great song arrangement using a vast range of techniques including pattern manipulation, repetition, and tonal character. The book covers many more techniques, principles and rules for creating great song arrangements, always with the goal of keeping the audience interested, engaged and wanting more. The book gets deeply into the application of Builds, Transitions, and Hooks, while addressing the issues of Groove, Pace, and Complexity. It focuses on the importance of establishing Lead elements in a song and their impact on song listenability. Also discussed, is the principle of arranging musical elements based on their tonal character and how careful placement in the panoramic soundstage can â€˜open up a mixâ€™, providing incredible depth and clarity. 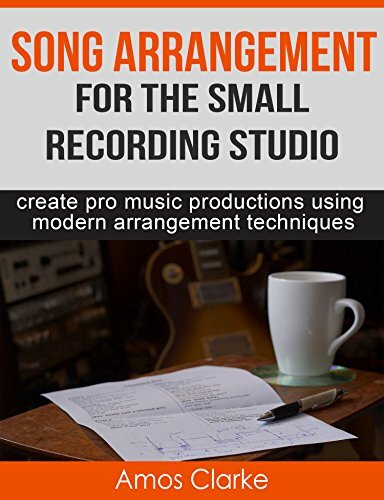 Song Arrangement for the Small Studio is a well-crafted handbook that provides plenty of relevant theory, explanatory diagrams, relevant song examples, and practical steps for applying it in your own song production projects. Itâ€™s the perfect resource for mixing engineers that want to go beyond plugins and mixing techniques and take their song productions to the next level.